For those who wish to be escorted directly from the Hotel via ferry to Malta International Airport this is a great option. 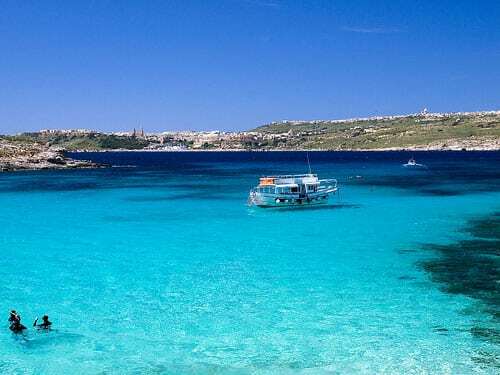 Your bags will be stowed in the car at the Hotel and you will be driven to the ferry port and onto the ferry where you will be able to take in the views of Comino whilst crossing over to Malta. The driver will stay with the car and bags for the duration of the trip (app 30mins). Approx. one way €75.00 (1 to 3 Persons), €85 (4 to 7 Persons), €90 ( 8 to 9 Persons), € 100 ( 10 to 11 Persons), € 135 ( 12 to 17 Persons). These transfers are the most cost effective. You will be met at the Hotel and driven to the ferry port where the driver will assist you unload your bags, which can be stowed on the ferry for the journey so that you are able to move around during the trip. 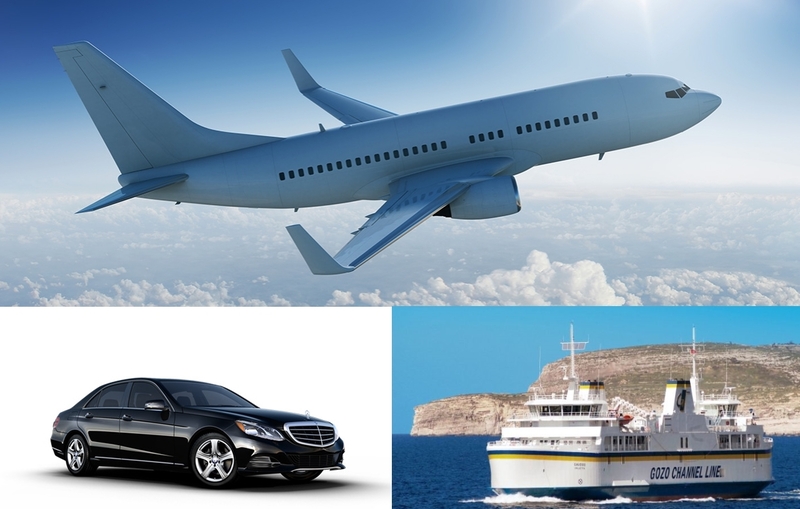 Once the ferry arrives in Malta you will be met by another driver who will complete the transfer to Malta International Airport. Approx. One-way €49.00 (1 to 3 Persons), €58.00 (4 Persons), €65.00 (5 to 8 Persons). Kindly contact us for reservation. We can organise you trips around Gozo & Comino,. The trips includes exploring the caves and inlets along the way, stopping at the Blue Lagoon for a dip in the clear blue sea and lunch can be served on board. The full day cruise continues around Gozo exploring the small fishing bays and majestic caves. Treat yourself to a memorable romantic sunset cruise for you and your loved one. Should you wish an evening out and not want to worry about drink driving, or prefer to be driven around the island during the day, our Reception staff will be happy to book you a taxi. Cost for transfers from Hotel. Approx. one way €15.00 (1 to 3 Persons), €18.00 (4 Persons), €25.00 (5 to 8 Persons), €30.00 (9 to 11 Persons), €35.00 (12 to 17 Persons). 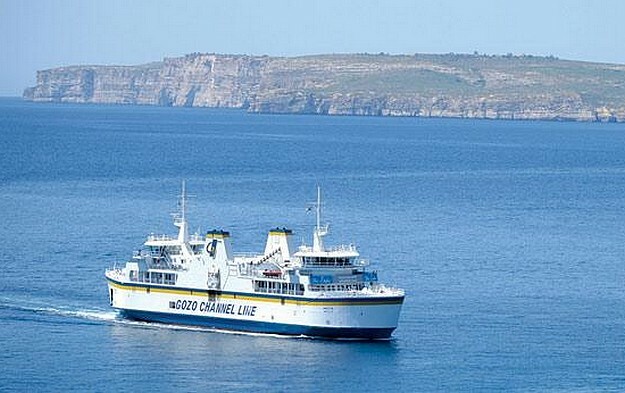 This tour is tour around the island of Gozo taking approximately 6 hours whereby you will be accompanied by a driver. Approx. one way €65.00 (1 to 4 Persons), €75.00 (5 to 8 Persons), €90.00 (9 to 14 Persons), €130.00 (15 to 20 Persons). Bicycling became popular again since the introduction of all terrain cycles (ATBs), which are ideally suited to Malta and Gozo. Cyclists should remember to always follow the Highway Code and clearly hand signal their intentions. 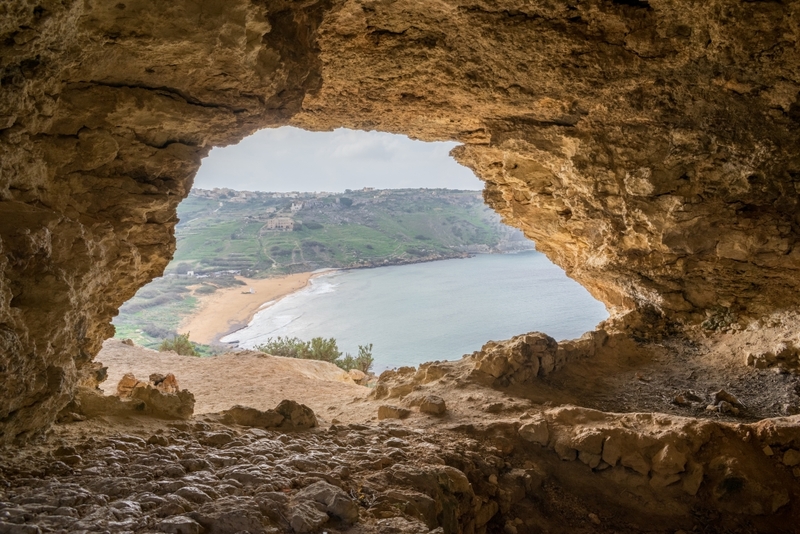 The best way to discover Gozo is by private car, minivan or jeep. Rental rates vary according to car model, specifications, length of hire and season. Drivers must hold a valid driving license and be over 21 years of age. Driving is on the left hand side of the road and seat belts are compulsory. 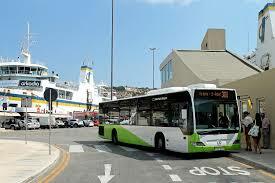 Public transport is the cheapest way of going around Gozo. Gozo route buses serve villages around Gozo from the central Victoria Bus Terminus in Main Gate Street. 2 Hour Ticket (Winter) €1.50. 2 Hour Ticket (Summer) €2.00.